And there's absolutely NO RISK! Scientists have long known about the powerful effects of amino acids like L-lysine, L-arinine, L-glycine, and L-glutamine for helping you look and feel better than you have in years. Emerging science shows that the ingredients, taken orally, can boost the body's own production of human growth hormone (HGH). Cutting edge researchers are working out the correct dosages for maximum production, and trying to determine the precise level of effects. GenFX was developed in anticipation of those conclusions, and the formula was inspired by the combinations of ingredients used in the studies." 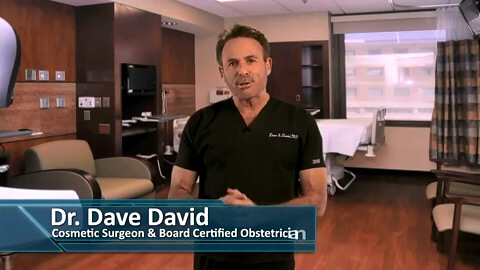 how rapidly your body begins to age! You owe it to yourself to compensate for the loss by supplementing your body with amino acids that re-vitalize you. Doctor Endorsed, With NO Side Effects Reported By Users! 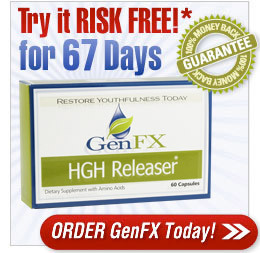 GenFX™ can help compensate for the diminished HGH level that come with aging. To get complete details, click here now!